29-year-old Formula Ford and Super Vee graduate Howdy Holmes won the 1978 series in one of Doug Shierson Racing's new March 78Bs. His closest competitor was Finnish star Keke Rosberg, driving a Chevron B45 for Fred Opert Racing but there were also impressive performances from a trio of Ralt RT1 drivers: the fast but erratic Bobby Rahal in Pierre Philips' car, Price Cobb in the Ecurie Canada car and 21-year-old Kevin Cogan in Brian Robertson's car. Off the track, Kris Harrison's attempts to develop the series almost killed it off instead. 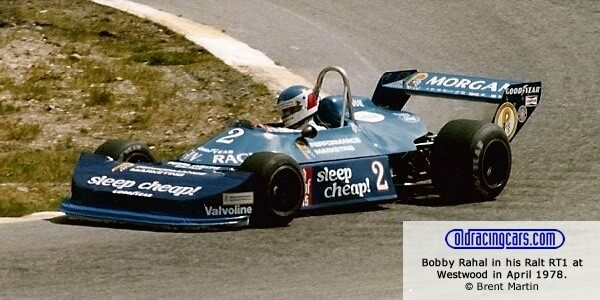 He had already lost races at Mosport and St Jovite because they had contracts with Molson, competitor to Labatts who sponsored Harrison's series. Harrison also struck a deal with Chris Pook to run at the Long Beach GP and now billed the series as North American Formula Atlantic, rather than Canadian. The SCCA, however, continued to keep their distance. Inspired in part by Pook's successful street race, Harrison tried to work round the Canadian circuit owners by developing the concept of a complete portable barrier system plus all the personnel, hardware and ticketing systems required to put on a street race. When tried out at Hamilton, it went hugely wrong and the weekend's events turned into something of a fiasco. Labatts had sponsored the Hamilton event as well as the series and ended up footing a very considerable bill. Two months later, Labatts dropped their sponsorship of Formula Atlantic. The self-financing engine deal run by Harrison's Ecurie Canada also collapsed during 1978. This was due to provide 80% of the prize money out of the profit from sales of the mandatory Cosworth BDN engine, but sales collapsed from around 60 in 1977 to just 28 in 1978. Michigan-based Doug Shierson took over the scheme and tried to convince the SCCA's Director of Professional Racing, Burdie Martin, to organise Atlantic races for 1979. Meanwhile, CASC, through Bob Hanna, continued to sanction the series and to run the Canadian races while some looked to the newly-formed CART to see the impact they may have on American racing. Atlantic desperately needed a promoter and it would be Pook that would come to the rescue.